A Nashville police officer caught on video shooting a man in the back as he ran away has been charged with criminal homicide. (CNN) - Nashville Police Officer Andrew Delke has been indicted on a charge of first degree murder, prosecutors said, after a video showed him shooting a man in the back as he ran away. Delke, 25, is accused of killing 25-year-old Daniel Hambrick last July in North Nashville. He had been initially charged with criminal homicide, which includes murder, voluntary manslaughter and criminally negligent homicide under Tennessee law. The Nashville-Davidson County District Attorney's Office announced the indictment Friday in a case that has sparked outrage among residents and the creation of a police accountability board. Delke was charged after authorities released surveillance footage that showed Delke, who is white, chasing Hambrick, who is black, until the officer aims his gun. Hambrick falls to the ground within seconds. The officer has argued that he saw Hambrick holding a gun and asked him to drop it as both men were running, a warrant states, adding that Delke said Hambrick did not drop his weapon. Authorities said they recovered a handgun from the scene. Delke's attorney, David Louis Raybin, said his client plans to plead not guilty. 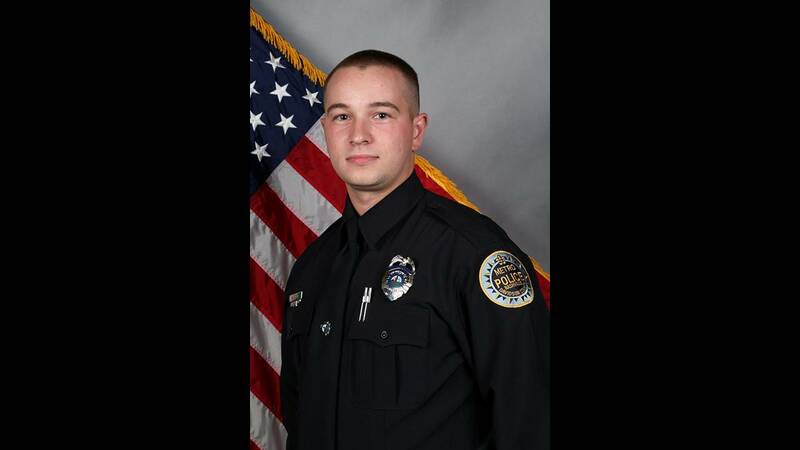 "Officer Andrew Delke will continue to defend himself on the basis that he acted in accordance with his training and Tennessee law in response to an armed suspect who ignored repeated orders to drop his gun," Raybin said. Delke, who is on administrative assignment while the criminal case is pending, is expected to be arraigned later this month, a district attorney's office spokesman said. Hambrick's killing and the 2016 shooting death of another black man by another officer prompted the creation of a community oversight board in Nashville. An amendment for its creation was approved during the November election, and the city is interviewing nominees for its board, CNN affiliate WTVF reported. The incident began as officers with the department's juvenile task force, including Delke, were looking for stolen vehicles in North Nashville, the warrant states. Officers said they saw a car several miles away driving in an "erratic pattern," the Tennessee Bureau of Investigation said last month. According to the warrant, Delke "became suspicious" when a white Chevrolet Impala stopped at a stop sign and "conceded the right of way by not pulling out in front of him." Delke ran the car's license plate, the warrant says, and found the Impala was not a stolen vehicle. But the officer followed the vehicle anyway "to see if he could develop a reason to stop the Impala." Eventually, Delke lost track of the car, the warrant states. While searching, he "mistook a different white four-door sedan" for the Impala in the parking lot of an apartment building. As the officer pulled up Hambrick began to run, and Delke chased him on foot, even though Delke had no reason to believe Hambrick was connected to any stolen vehicles, the warrant says. In pursuit, Delke saw a gun in Hambrick's hand, according to the warrant. The officer gave Hambrick several verbal commands, including, "Drop the gun or I'll shoot," it states. Delke decided to fire when Hambrick kept running and didn't drop the gun, the warrant states. The officer fired four times, the warrant says. Hambrick was struck in the back of the head, the back and the left torso, with a fourth bullet hitting a nearby building.